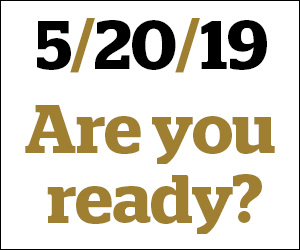 The university announced that Fred J. Ryan, Jr., publisher and chief executive officer (CEO) of The Washington Post, will deliver Wake Forest’s commencement address on Monday, May 20. The commencement ceremony will take place on Hearn Plaza at 9 a.m.
During his time at The Washington Post, the newspaper has been recognized for excellence in journalism with multiple Pulitzer Prizes and was twice named by Fast Company Magazine as the “World’s Most Innovative Media Company.” Until August 2014, he served as president and CEO of Politico, which he co-founded in 2007. Before his career in journalism, Ryan served on the White House staff from 1982 until 1989. He was also assistant to the President of the United States, one of the youngest people ever to serve in such a position. He further served on the 1984 Reagan/Bush re-election team. Ryan also served as director of the White House Private Sector Initiatives program, where he was the President’s liaison to the American and international business communities. Senior Robyn Adelkopf commented on the information that can be gained from his speech. “As we get ready to move out into the real world, I think he will have a lot of great insight, not only because of his current position with The Washington Post, but also from his previous experiences in the White House,” Adelkopf said. President Nathan Hatch also highlighted Ryan’s character in a press release announcing the speaker. Senior Chloe Ring echoed a similar excitement to Adelkopf. “I am looking forward to hearing him speak and give the senior class insight on how to apply our education at Wake Forest to our next stage of life,” Ring said. “I have not heard much about him [but] as I looked into more information on him, I found he has a lot of experience in a variety of different areas. I am excited to see how he integrates that into the commencement speech,” said senior Trenor Philibin. Also joining Wake Forest for the commencement weekend will be baccalaureate speaker Gary Haugen, CEO and founder of International Justice Mission (IJM) — a global organization that protects the poor from violence throughout the developing world. Haugen has been recognized by the U.S. State Department as a Trafficking in Persons “Hero” — the highest honor given by the U.S. government for anti-slavery leadership. His work to protect the poor from violence has been featured by Foreign Affairs, The New York Times, the New Yorker, The Times of India, Forbes, U.S. News and World Report, the Guardian and National Public Radio, among many other outlets. He is the author of several books, including Good News About Injustice and, most recently, The Locust Effect: Why the End of Poverty Requires the End of Violence.